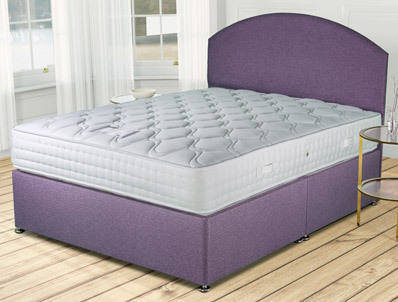 The Siesta Sandringham offers a great value bed as it offers 1000 pocketed springs in a King size mattress along with multi density responsive fillings and a soft knit stretch micro quilted cover. This bed is very similar to the Knightsbridge which was made by Highgrove. .The Sandringham mattress is fully turn-able and has flag stitched handles and breather vents. . The base as seen comes as standard as a platform top hard base. 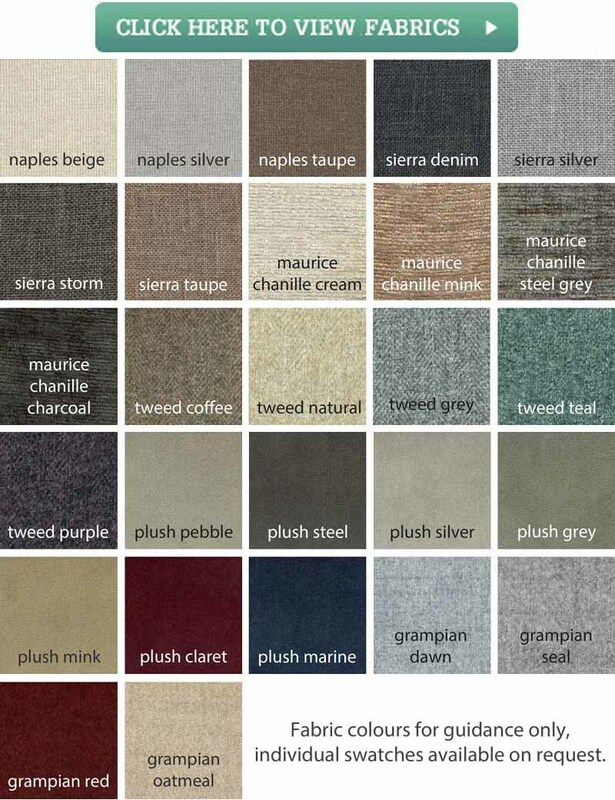 The base is available in 25 exciting fabrics . There is also a optional headboard pictured which is called Wiltshire it is available either on legs or floor standing which will bolt on to back of bed , If you order bed and headboard it will be made in same fabric.